Vivid Digital are currently producing Version 3 of Sounds: The Pronunciation App for Macmillan Education. The App was first released in 2011 for both iOS and Android platforms. 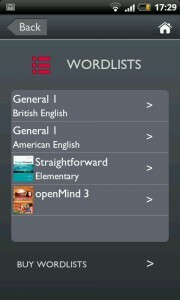 The key new feature of this version is linking words in the wordlists to the Macmillan Online Dictionary. Users can switch into “definition” mode and look up the definitions of the words they are learning. Alongside this we are integrating Google Analytics to provide Macmillan with useful user statistics, as well as updating both platforms to take account of new versions of iOS and Android and new phones and tablets. 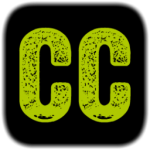 The updated version of Cracking Comprehension is complete and has now been released. It is based on the popular 2008 series of CD ROMs that Vivid produced for Rising Stars. The new version includes a refreshed design, a few functional changes and 36 new texts for use in class. Each text is available in written format for use on interactive whiteboard or for printing, and also in an audio format for listening. Vivid have just added in-App purchasing to MacMillan’s Sounds: The Pronunciation App. 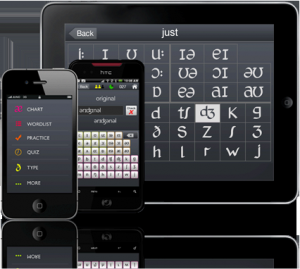 This allows users to buy new wordlists from within the app to use in the app. 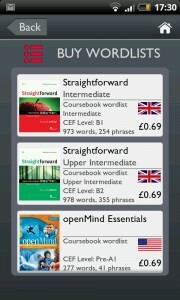 A choice of 12 new wordlists can be purchased and more lists will be added to this each year. Wordlists are graded (based on existing Macmillan course books) allowing learners of English to progress to more and more complex words. After purchase, new wordlists are integrated into the current app and so can be used throughout: wordlist text and audio, practice questions and quiz. Additionally, these new wordlists come with some example phrases (text and audio), putting some of the words into an everyday context. This latest development is a great example of how Vivid are using mobile technology to provide solutions for clients to enhance their products. Sounds: The Pronunciation App version 2 (April 2012) is available from either the App Store or Google Play (formerly Android Market). We’ve recently started work on an exciting new web project called ‘All that I am’. ATIA will be an online social network for creative people to share & rate their current projects. We’ve chosen the excellent Drupal CMS for the job as it’s well known for it’s power and flexibility, especially for this kind of project. So far we’ve been very impressed with Drupal and will be looking forward to the next opportunity to use it. 1) Cracking Comprehension online demo. 2) Excellence in Scientific Enquiry online demo (this isn’t strictly new but it can now be used online rather than having to be downloaded and run locally). You’ll need Flash Player installed to run them. A Flash in the pan or all things to all people? Adobe is keen to trumpet the accessibility features of Flash CS3, but there are drawbacks as well as advantages which users need to be aware of.